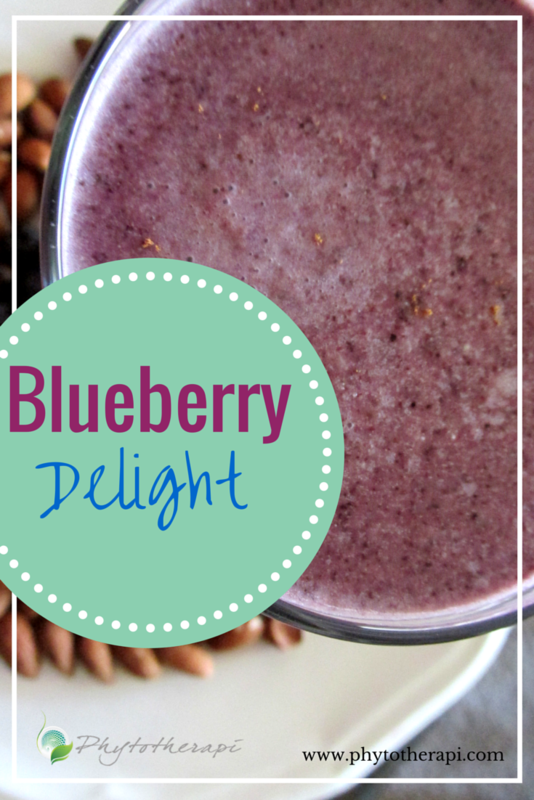 This delicious treat contains some great micro nutrients, antioxidants and protein due to the blueberries and nuts. While you can certainly use fresh blueberries if you don’t have frozen ones, this smoothie tastes much better when the blueberries are frozen, providing a crisper, more refreshing taste. Place water, almonds (or walnuts), virgin coconut oil and cinnamon together in a blender and blend for 30 seconds. Add the frozen blueberries and blend for another 30 seconds. Serve and enjoy. This entry was posted in Smoothie Recipes, Weight Management Smoothies by Phytotherapi. Bookmark the permalink.